What the future of news online looks like has a lot to do with payment models. As publishers push ahead with their plans to go from ‘free’ to ‘paid’, how consumers are asked to pay for news content will play a significant role in determining which publishers succeed and which fail. Despite lots of talk about micropayments, a newly-released paidContent:UK/Harris Interactive poll found that over half (53%) of British consumers would prefer to purchase a subscription to their favorite news site. Micropayments? Only 21% of poll respondents are interested in a micropayment model that allows them to purchase access to single articles of interest a-la carte. That’s even less than the number (26%) who would prefer a single-day access pass. Interestingly, there are some potentially important differences amongst those polled along age, gender and income lines. 58% of the men polled favor subscriptions while over half of the women polled would prefer either a micropayment or day pass model. And younger consumers prefer subscriptions while older consumers prefer no strings attached payment models. The possible implication: kiss notions of one-size-fits-all payment models away. To be successful, publishers may need to tailor the payment options they offer based on audience demographics. If consumers are going to give up their preference for single-subscription payments they can more easily check and monitor, they will need to have real confidence and trust in the brands they use. Micropayments will probably benefit only the very largest of companies. While I tend to agree on purely economic grounds, I also think it’s no surprise that subscriptions came out ahead in the paidContent:UK/Harris Interactive poll. After all, the subscription model is what most consumers are most familiar with because it’s the most widely-used today. Until consumers see a micropayment model that’s almost effortless to use, I suspect subscriptions will remain favored overall. Whatever payment models consumers favor, however, publishers still face an uphill battle in actually getting consumers to open up their wallets. First, most publishers will need to address quality and commoditization issues. That in turn will have an impact on pricing considerations. And finally, publishers can’t forget that they’re in business to make a profit. Even if publishers get their pricing and payment models correct, many of their ongoing problems are the result of cost structures that simply don’t work. Last week FT.com reported that Guardian News and Media, parent company of The Guardian, has lost £20m on digital since 2002 (a figure that has since apparently been confirmed). While that figure could be far worse, it puts things in perspective: no matter where your revenue comes from — advertising, subscriptions, micropayments — if the cost of producing a great product exceeds the amount of profit it generates, you still have a problem. The proposed settlement in the class action lawsuit over Google Books has proven to be quite controversial. Amazon, the American Civil Liberties Union and the Electronic Frontier Foundation are among those questioning the proposed settlement. On the other side, Sony, the Computer & Communication Industry Association and the Authors Guild are among those supporting the settlement. 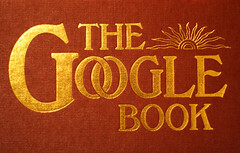 Opponents claim that the settlement will give Google a virtual monopoly over online books. Supporters claim that the settlement will benefit consumers and does not preclude others from competing in the market. After a year of falling media budgets and ad spending restrictions, positive hints about the advertising market are starting to pop up. Except after the trauma that hit the ad market last year, no one wants to be on the record saying that the ad spend has hit bottom and is set to pick up. And yet, that’s what it’s starting to look like.